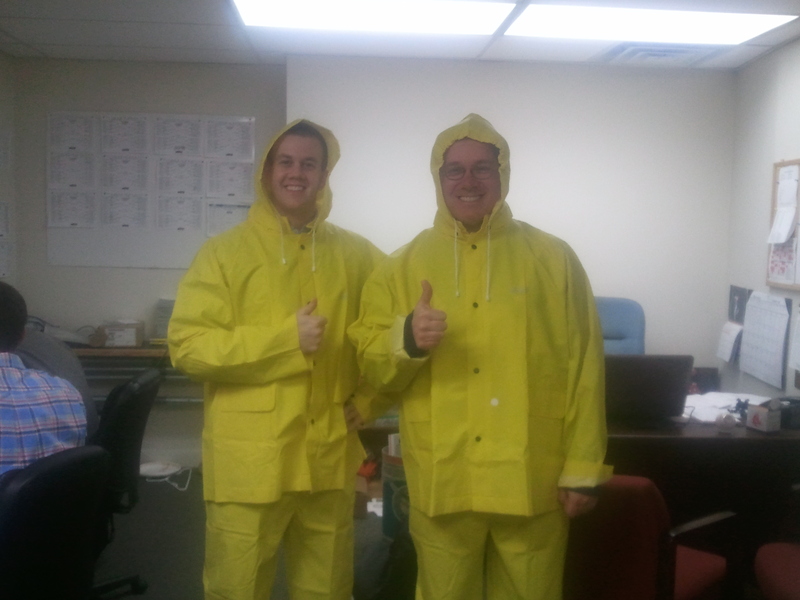 What on-field promotion are these guys ready for? This is what happens when the boss is away and it’s a cloudy Friday almost-afternoon. Please excuse my poor camera skills, it was difficult to keep it still while I was laughing. One of my strengths is that I am very skilled at buying things. To the right are some items that I recently purchased to enhance one of our on field promotions. Can you guys which one it is? 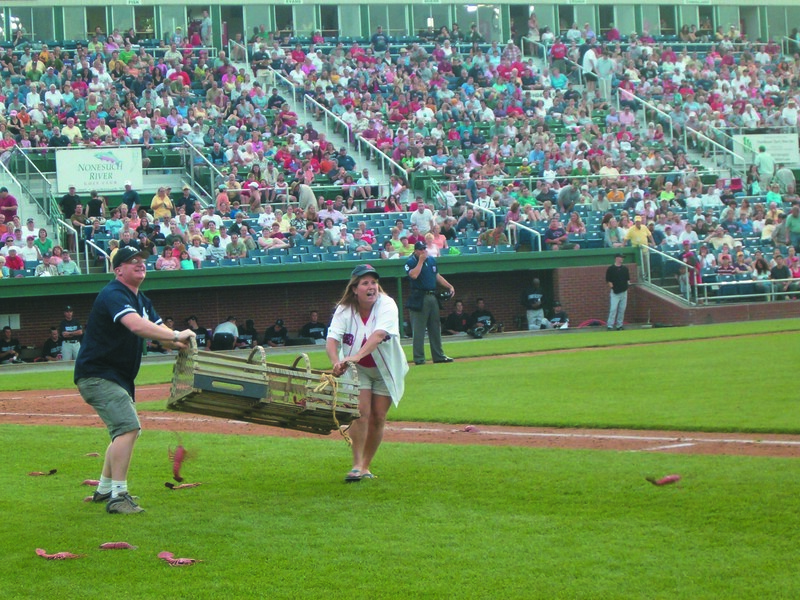 The Lobster Toss is a staple in the Sea Dogs on-field promotional schedule. Not only is it a fan favorite, but it also combines local industry, competition, occasional athleticism but mostly hilarity, all into 90 seconds. All Heff would need is a cigar and people would think being a lobsterman was his profession. Thank God he works for the Sea Dogs because if he was a fisherman, lobsters and fish a plenty would be throwing themselves on the boat for the fish charmer – looks way to normal.